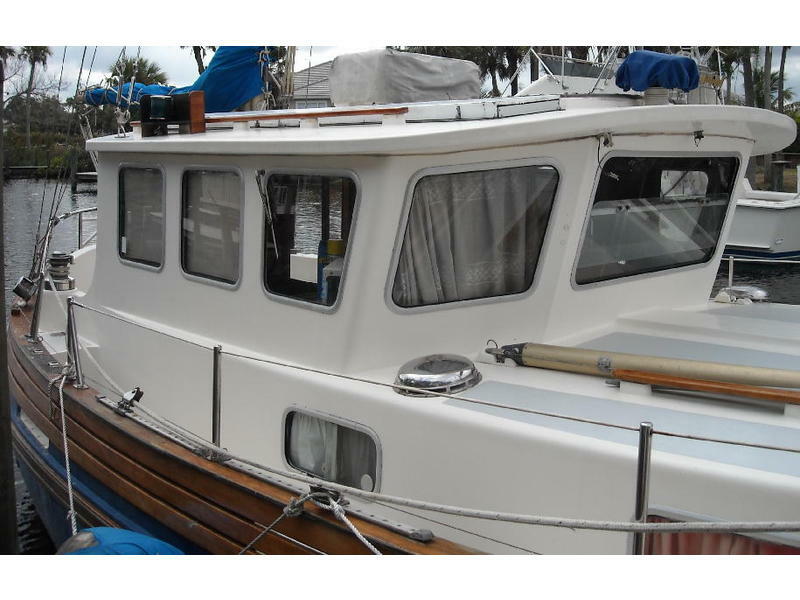 This 37 Fisher Pilothouse has a heavy displacement hull that has descended from North Sea fishing boats. 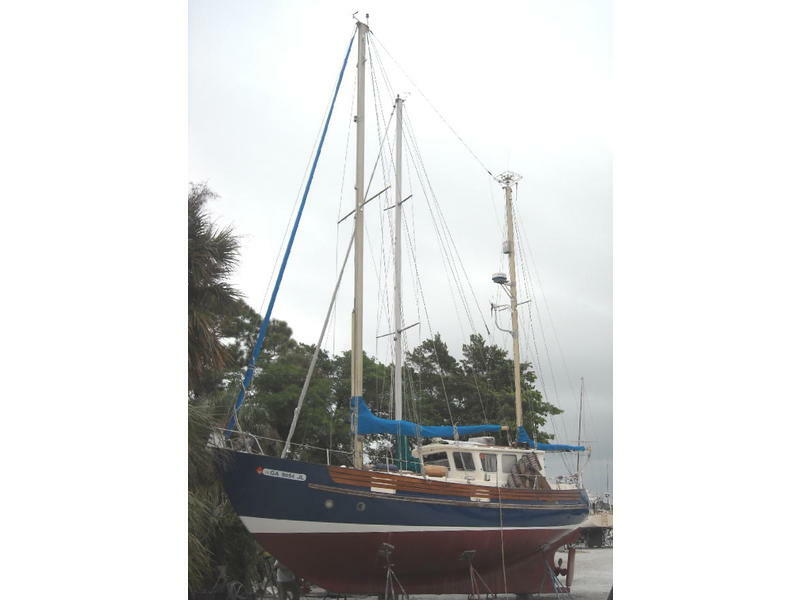 She has a canoe stern for breaking seas, full keel with attached rebuilt rudder, air conditioning for year round cruising anywhere in the world, great performance under both sail and power, and last but not least she fits all of the requirements of a cruising couple looking to go offshore. She has been sailed through the Mediterranean, cruised the Caribbean in comfort and safety, and has turned heads wherever she has gone. 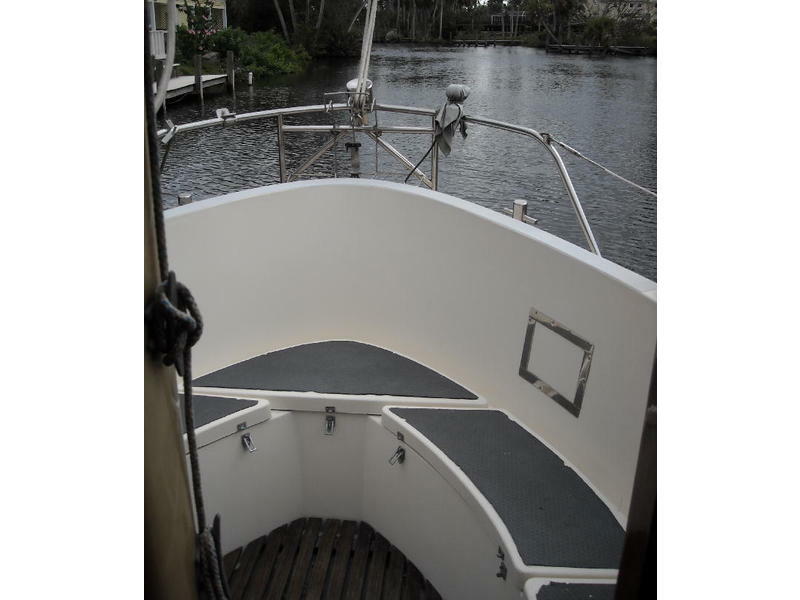 All sailors love the safe feeling of the Fishers high toe rail and enclosed pilothouse. This fantastic cruiser is again on the market for sale. 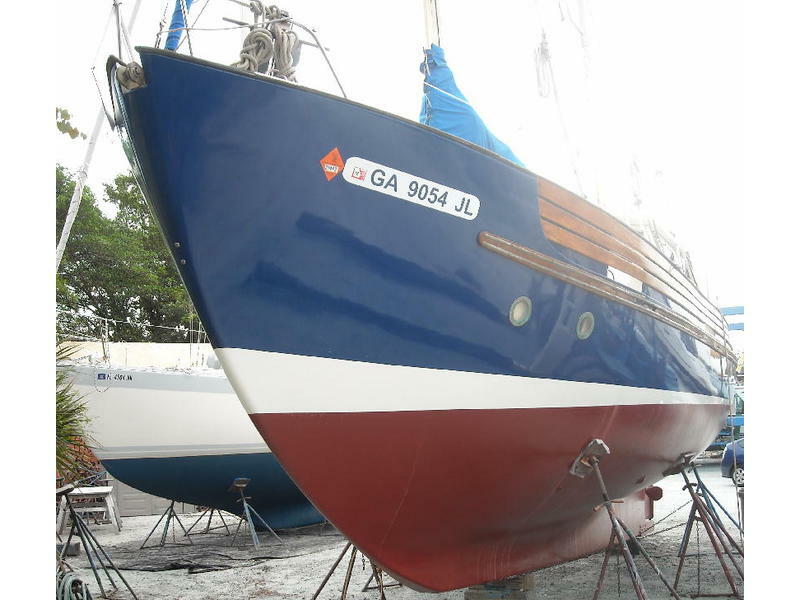 The new owner has just completed a professional bottom job including repair of all blisters, barrier coat and new bottom paint and brand new hull paint with 4 coats of royal blue. He has also rebuilt and re-glassed the rudder and replaced or repaired all thru-hulls. He has done a complete engine service including all new hoses and clamps and all new fuel lines. 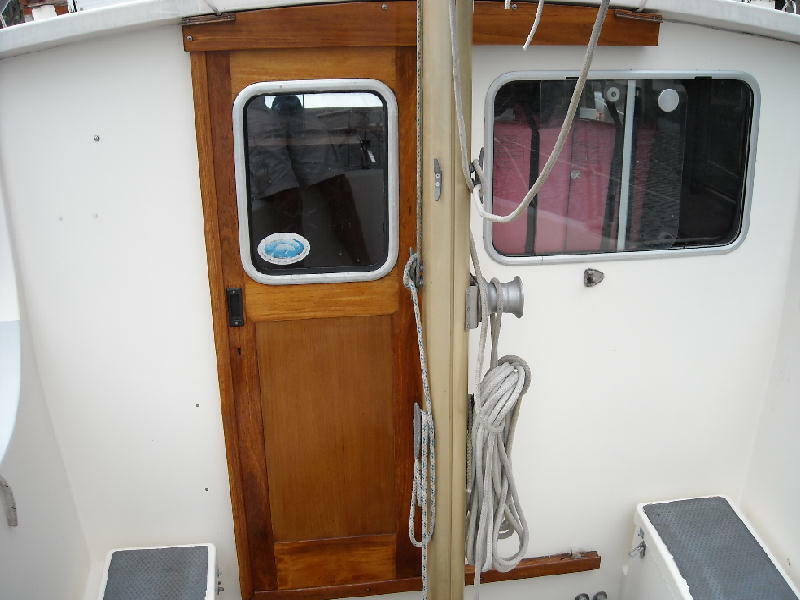 This Fisher pilothouse sleeps 5 owners and guests. 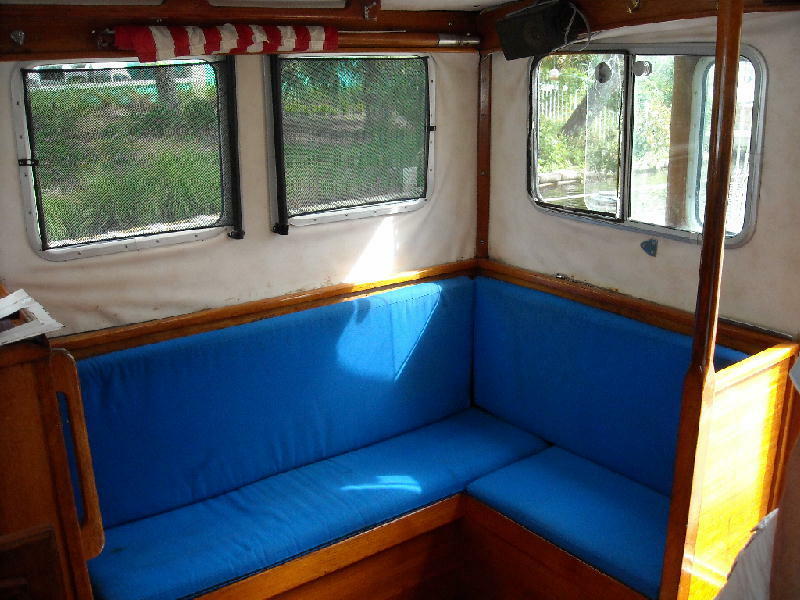 Starting at the pilothouse door, find a L-shaped settee to starboard with storage below and propane tank storage vented outside, storage and helm seat to port with Teak spoke steering wheel and navigation desk. 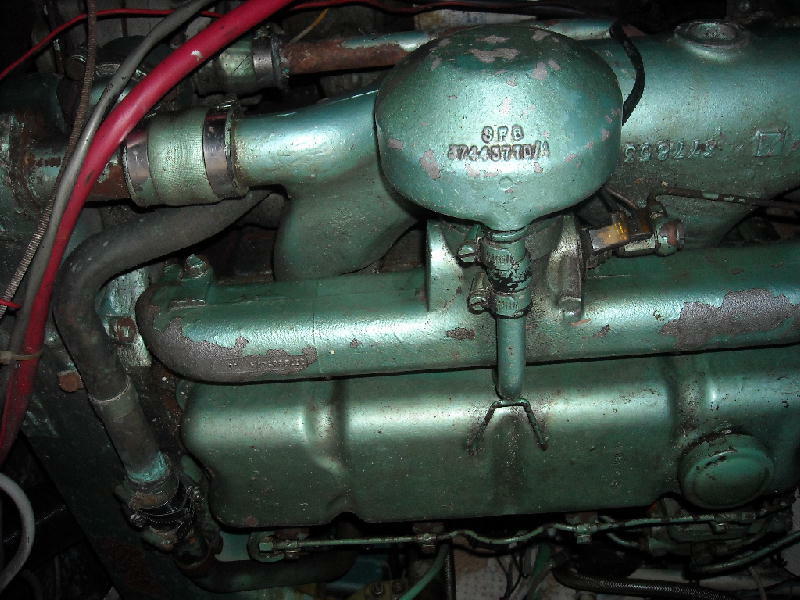 Complete access to engine compartment beneath the PH sole. 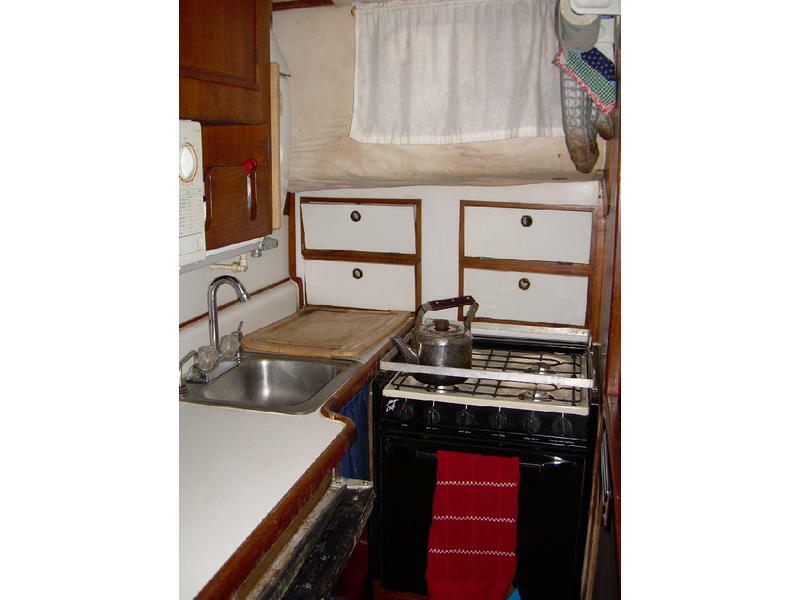 Down 3 steps into the salon find the U-shaped galley to port with abundant storage and the head with shower and large SS sink to starboard as well as a large hanging locker just forward followed by the convertible settee with storage above and below across from the convertible dinette. 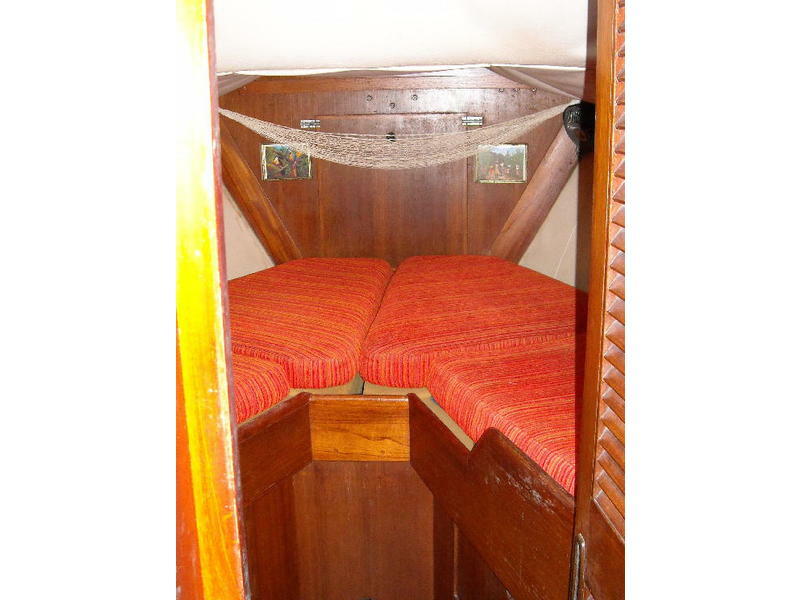 Forward of the salon is the roomy V-berth with hanging locker to starboard and abundant drawers and cabinets to port with access to the anchor locker.